Transparent, invisible, ready to use masonry Water repellent product for all porous building materials, prevent water penetration, exta long lasting. ARCABLOCK WATER REPELLENT allows the substrate to breathe while providing outstanding water repellence. 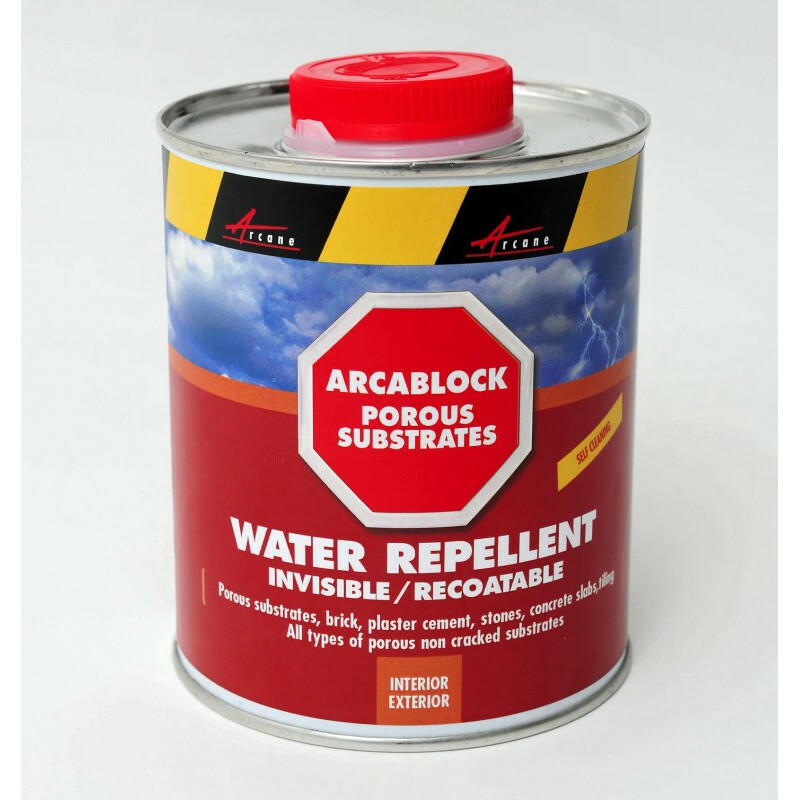 Manufactured since 1995, Arcablock is the top selling water repellent used by professionals and individuals. Completely transparent/ invisible does not alter the surface! will not change the aspect of the material, does not leave a "flour" aspect, cardboard feeling, as certain other water repellent products does. 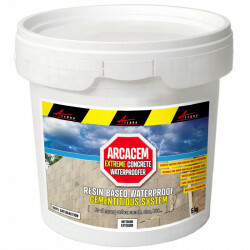 Block water penetration which can cause structural damage and deterioration of porous concrete, wood, brick, stone and most other porous building materials. Self-cleaning, will protect your walls and floors from diret and ageing. Water will pearl up and can be wiped off before it penetrates a porous surface and leaves a water stain. 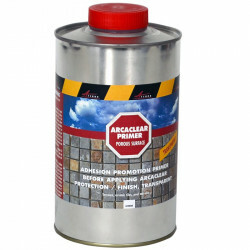 Note: Arcablock will not prevent water ingress through unsound or cracked surfaces, or surfaces with structural waterproofing problems. Arcablock Water Repellent Uses Include:Arcablock can be used on:Porous concrete,Wood,Bricks,Stone and most other porous building materials. 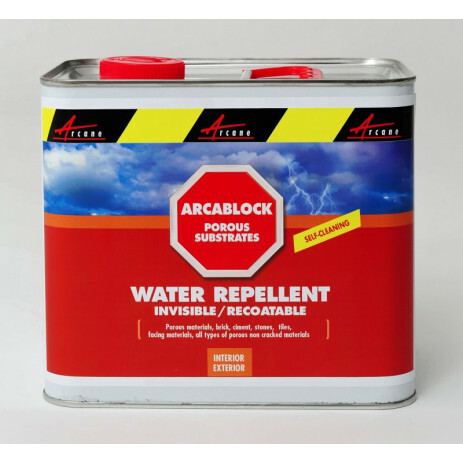 ARCABLOCK WATER REPELLENT provides outstanding water repellence while allowing the substrate to breathe. 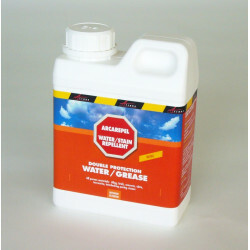 Vapour permeability yields drier, more durable walls, floors and roofs. 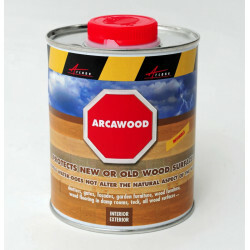 • Eliminate fungus and moss before application, using ARCAMOSS. • Clean and brush surfaces of sand, surface dust and dirt, oil, grease andother contaminants prior to application. 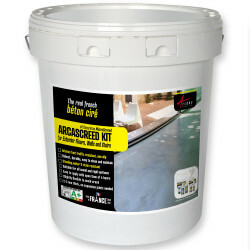 • When treating porous tiling, eliminate any efflorescence and mortar residue with a light acid wash. Rinse thoroughly. ARCABLOCK is ready to use and requires no thinning. 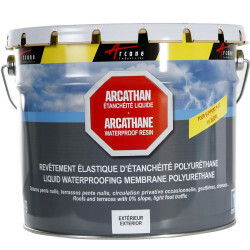 Apply on dry surface with brush, roller or airless sprayer. 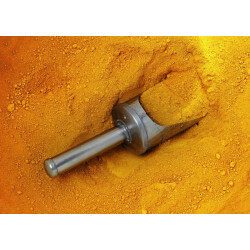 Stir material thoroughly before application. To achieve best results on vertical surfaces, start at the bottom of the wall and work upward. Apply until the surface is completely saturated (until product is no longer absorbed). Do not create product build-up by going over a surface several times. Do not apply a second coat until the first coat is completely dry (24 hours).